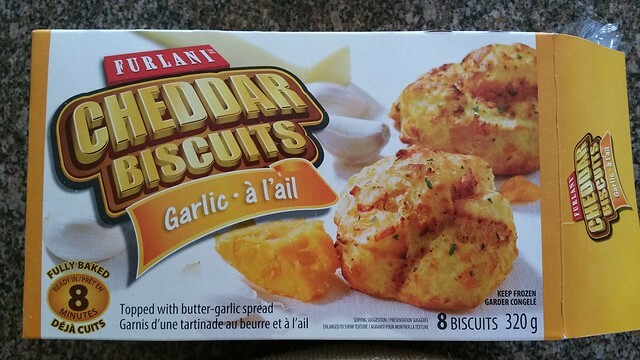 We had tried their Texas Toast and when Furlani Cheddar Biscuits came on buy-2 sale at SuperStore my mom was curious to try it, especially as we'd only recently tried the Red Lobster Cheddar Bay Biscuit Mix. Obviously these are meant to be a reasonable facsimile. 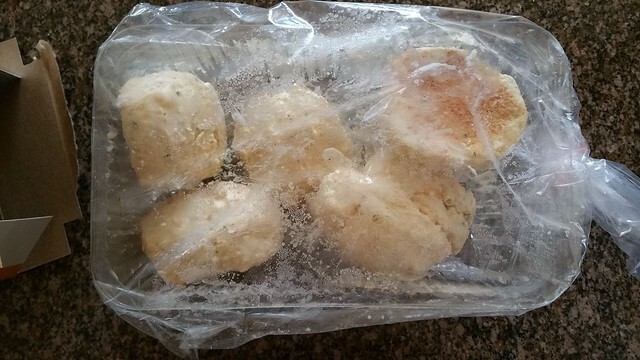 Here is how the biscuits look like straight out of the frozen package. Notice the worrisome thick coating of butter on top. They still looked undercooked but were not. Quite tender so handle carefully if you want them plated nicely. 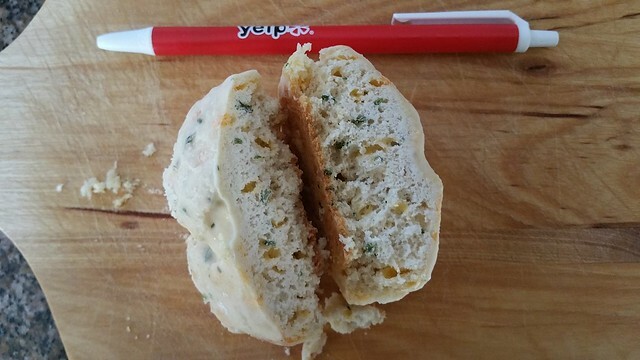 NO buttery mess oozing all over despite the thick coat of butter on top. Apparently absorbed into the biscuit? 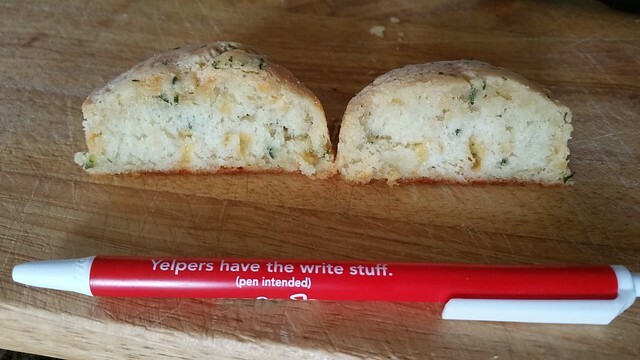 Tasted like butter. Don't count on any flavour from cheddar or herbs despite seeing evidence of both. 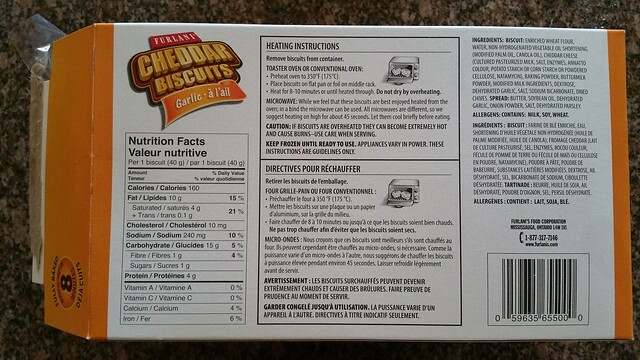 Depending on how much you bought it for, it works out to maybe 40 cents per biscuit. 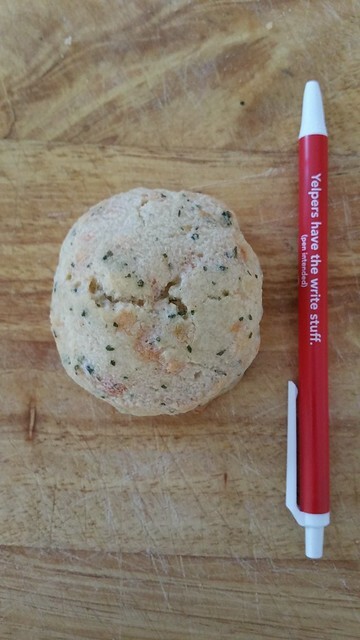 For 50 cents you can get a big bagel from Superstore so you aren't buying this to fill you up. 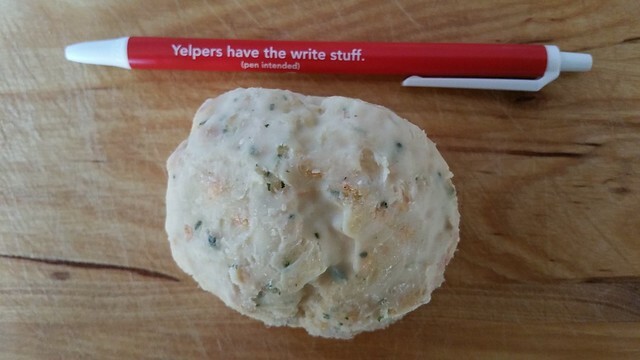 Could make for a quick way to get nice, presentable biscuits to go with soup for guests though. Baking time is certainly very low at around 10 minutes.